Ricoh continues their GR line with the all new GR Digital III (aka GR3). This model replaces the GR Digital II we reviewed last year, carrying over man of the same popular features. Ricoh has upgraded this new successor with an improved 28mm fixed lens, which offers a maximum aperture of F1.9; compared to the F2.4 lens on the GR2. While resolution remains the same at 10-megapixels, Ricoh claims the GR3 offers a upgraded high-sensitivity sensor, along with a new GR Engine III image processing unit. The GR3 also offers a larger 3.0-inch LCD screen, which boasts an impressive 920,000 pixels of resolution. 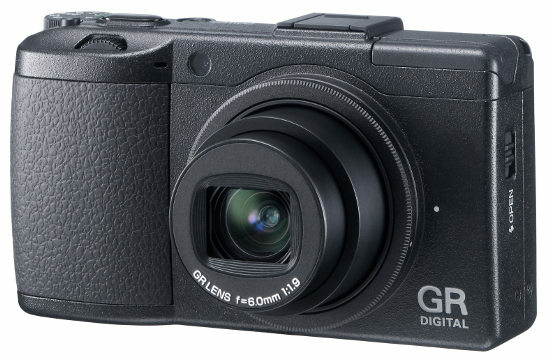 Like past models, the GR3 is designed for enthusiast photographers who are looking for a compact, yet professional digicam that offers powerful features, packed into an elegant frame. The Ricoh GR Digital III camera kit has an MSRP of US$699, and ships with: GR Digital III camera body, AV cable, USB cable, Hand strap, Rechargeable battery (DB-65), Battery charger (BJ-6), Hot shoe cap, Software CD-ROM, and Instruction manuals.